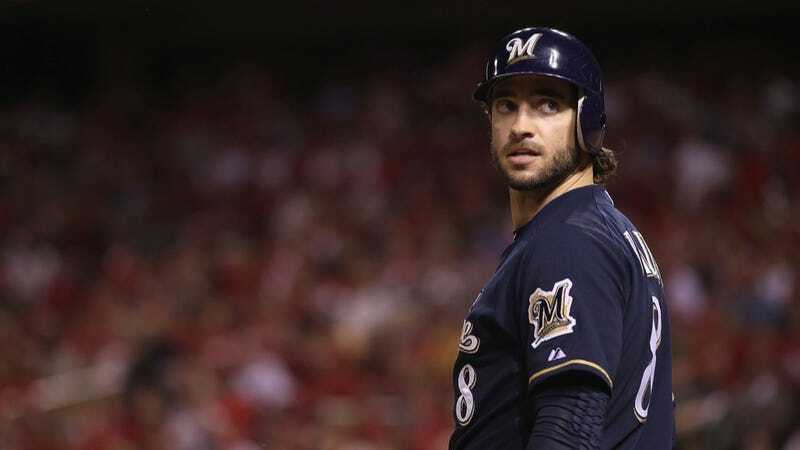 Milwaukee Brewers left fielder Ryan Braun is disputing the results of his recent urine test, which is why MLB hasn't announced the result or any discipline. If Braun's appeal fails, he would face a 50-game suspension next spring. The 28-year-old Braun had to provide a urine sample for testing during the playoffs, and he was notified of the positive test sometime in late October—about a month before he was named the National League's most valuable player. The positive result was triggered by elevated levels of testosterone in Braun's system, the sources also told "Outside the Lines." A subsequent, more comprehensive test revealed the testosterone was synthetic—not produced by Braun's body.